View all Copper Mountain real estate listings - Ski in Ski out Condos, Golf Property UPDATED DAILY with all of Copper Mountain Co homes for sale, land in Copper Mountain MLS. Resort is an active, yet peaceful, enclave onto itself. It's located on the western edge of Summit County, off of Interstate I-70, about 20 miles east of Vail and 7 miles from the quaint town of Frisco, where homeowners can find all of the supplies they need - from the Safeway grocery store to Wal-Mart and smaller businesses selling everything from antiques and clothing to paint and ski gear. Single-family homes, duplexes and oversized four- and five-bedroom townhomes lie on the "outskirts" of Copper's main village and base area. 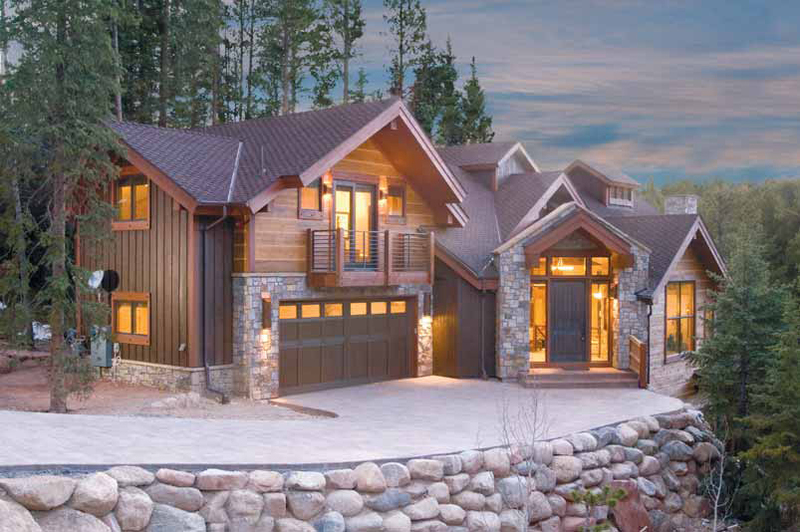 Lewis Ranch is Copper Mountain real estate's newest single-family development. Lewis Ranch features luxury homes tucked among forested lanes. The prestigious gated community provides seclusion, while still backing up to ski runs, allowing ski-in, ski-out access. It's the perfect place to settle in with family and friends after an exhilarating day on the slopes. Within these log- and timber-framed homes, which often provide 5,000 square feet of living space, you can create Colorado memories you'll cherish forever. In the summer, trails wind through alpine meadows and wetlands, offering serene walks where you'll feel like you're away from everything - and perhaps even spot a fox or beaver. Copper's energetic village is just a short walk or shuttle away, so when you feel like enjoying a great meal out or taking in a free concert, action is just a skip and hop away. Union Creek is considered the beginner skier's part of Copper Mountain real estate, but there's nothing entry-level about the distinctive homes that grace the area. Newer single-family homes are the perfect place to indulge in a rustic or contemporary mountain feel, with the latest amenities and spaces that just yearn to be filled with overstuffed leather sofas and chairs. If you're looking for real estate in Copper Mountain with a little less maintenance, smaller units offer the ski-in, ski-out experience for less. For example, Copper's newest development, The Cache, has a one-bedroom, 693-square-foot penthouse built in 2009 that comes complete with high-quality finishes, as well as a large deck and views of aspens, and of course, ski runs. Union Creek townhomes, built in 2008, are tastefully furnished, with two-car garages, four flat-screen televisions and private hot tubs. The gourmet kitchen allows you to stop in during your ski day for a healthy snack or lunch. The Cirque, built in 2002, features one- to three-bedroom units with gas fireplaces, vaulted ceilings, a shared hot tub, two outdoor pools and a fitness room. Most of these units offer quarter-share ownership, but buyers are able to use the amenities year-round. Union Creek is west of Copper's main base village, but multifamily and single homes still back up to chairlifts that will give you access to the entire mountain. The area is a perfect place for kids to learn how to ski and ride better, because the Schoolhouse is right there. During summer, paths covering 35 miles lead you through the majesty of Copper's pristine alpine environment. 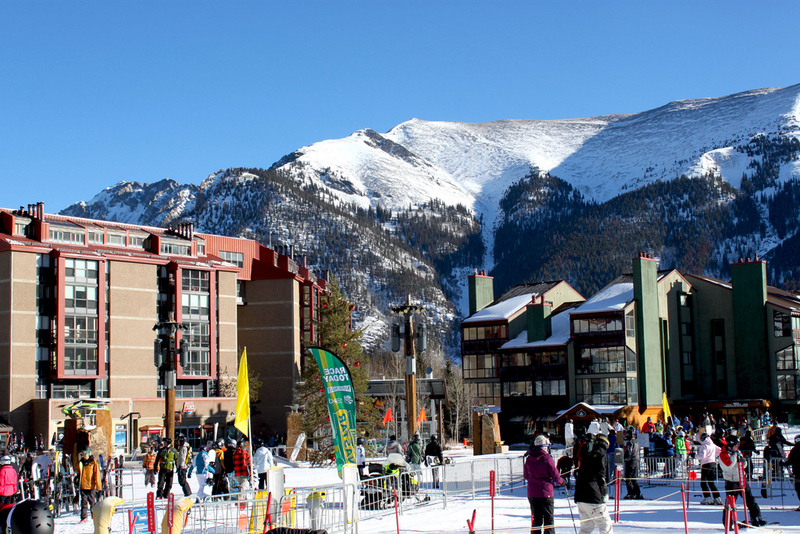 Intrawest infused Copper Mountain real estate with new life when it bought the resort in the 1990s. Now, Copper's main village, at the base of the Flyer and Eagle chairlifts, comes to life with festivals, live bands, fireworks, free outdoor movies, fire dancers and more, throughout the year. You're never far from mountain recreation and excitement when you live in The Village. The Village offers a blend of newer condominiums mixed with older complexes, along with a small grocery store, affordable restaurants and coffee and chocolate shops. Some condos surround West Lake, where skaters glide across the ice in the winter, and sparkling waters soothe stress in the summer. Others are smack-dab in front of ski runs. There aren't any single-family homes in this area. Complexes such as Tucker Mountain Lodge afford the flexibility to rent out the lock-off portion of your unit, in order to create income while you still have a mountain lodge in which to stay. Taylor's Crossing, built in 1999, lies along the Ten Mile Creek and is still an easy stroll to the lifts. Buildings such as The Mill Club offer two master suites for couples that want their own spacious luxury sleeping quarters. Passage Point is a distinctive property offering three outdoor hot tubs and coveted underground parking. If you can't decide which you love more - testing your skills on a golf course or ski run - the East Village is the place for you to own your own private gateway to outdoor adventure. And, the main plaza offers bars, eateries and retail shops so you're never far from any necessities. In the summer, mill through Copper Creek Golf Course, which caters to novice golfers with its front nine holes that meander through pines, lakes, rivers and alpine terrain. The back nine cuts through the scarce remains of a mining town and rolling hills that deliver a challenging world-class course to experienced golfers. In the winter, walk out your door and hop on the six-passenger Super Bee, which takes you to the top, and center, of Copper Mountain's varied terrain. From there, you can ski easy groomers, challenging bumps and exhilarating steeps. Copper Mountain real estate properties such as Copper Springs Lodge have an abundance of windows (11 or so) to let sunshine stream in. It's a good thing that golf is a summer sport and skiing is a winter sport, because when you live in Copper Springs Lodge, views of ski runs cut through pine forests make you long to make turns, and views in the other direction, of pristine golf greens, make you want to master the art of swinging a club. Inside, two bedroom suites and a guest bedroom afford privacy, and shared areas offer a cage to store bicycles, a pool table, hot tubs, a sauna and fitness room and underground parking designed for your comfort.